School of Public Health Regents Professor Michael Osterholm (MS ’77, MPH ’78, PhD ’80) often says it’s not if infectious disease crises will occur, it’s just a matter of when. “There has never been a time in history when the challenges to controlling and preventing the global spread of infectious disease has ever been this daunting,” says Osterholm, an expert on epidemiology of infectious diseases, as well as teacher, faculty adviser, and director of the University of Minnesota Center for Infectious Disease Research and Policy (CIDRAP). While the world becomes more interconnected, infectious diseases like Zika, Ebola, and MERS become real public health threats. But according to Osterholm, influenza — what he calls the “king of infectious diseases” — has the power to kill many millions of our population in a short period of time. But his latest book hopes to help in our fight against these epidemics. 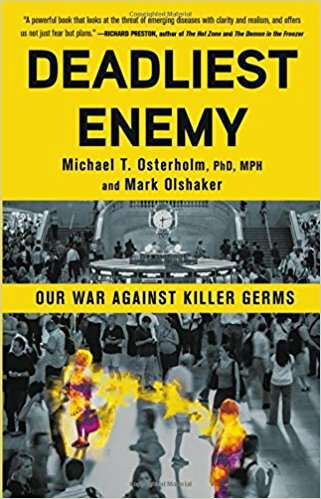 In “Deadliest Enemy: Our War Against Killer Germs,” Osterholm lays out a “Battle Plan for Survival” with a nine-point plan on how we can keep ourselves safer from these emerging threats. He hopes this book not only informs, but also inspires people to commit to public health action and work. We sat down with Osterholm in early March 2017 to talk about his work and to learn what Americans need to do to be prepared for these emerging threats. What intrigues you about infectious disease epidemiology work? Being a disease detective is very gratifying. But it’s also very sobering at the same time. These are real people dying from diseases that in many instances could have and should have been prevented. This work allows you to solve mysteries and implement positive change for large segments of the world’s population. Why is “Deadliest Enemy” needed now? This book is part history, part current affairs, and part blueprint for the future. We are facing so many challenges right now — from a potential looming influenza pandemic, to the inevitable tsunami impact of antibiotic resistance, to bioterrorism. And we have no clear international governance structure for how we are going to deal with these issues. I also want to show the younger generation what kind of world they’re inheriting from us baby boomers and why they need to engage in this issue now for their own survival. What are some of the biggest challenges we face in preventing infectious diseases? The World Health Organization is woefully under-scaled and unprepared due to a lack of financial support and adequate governance authority. And early messaging from our current administration suggests that issues related to public health and infectious diseases may not be top priorities on its agenda. Your biggest concern is pandemic influenza. So this is more than encouraging people to get their annual flu shot? While the seasonal flu does kill anywhere from 3,000 to 49,000 people every year in the U.S. — typically on the lower end of that range — pandemic influenza can cause a worldwide outbreak of a new strain of influenza virus that spreads easily because most people don’t have previous immunity. When it comes to pandemic influenza, at this time, all bets are off for having an effective vaccine for most of the world. We desperately need something like the Manhattan Project to develop and manufacture a game-changing influenza vaccine. This would have worldwide implications that even exceed the incredible achievement of eradicating smallpox. So who is responsible for making changes? The U.S. government has to play a key role and the investment isn’t there. Last year, the world spent about $35 million on researching new influenza vaccines. Meanwhile, we spent more than $1 billion on HIV vaccine research. That’s not to take away from HIV vaccine research — because we should support it at this level — but it shows you how we lack an international priority for addressing influenza. What role does CIDRAP play? Policy without science is usually ineffective because it is poorly informed, and science without policy doesn’t do much. So CIDRAP brings the two together to represent the public’s interest. We work at the government and organization levels, and create plans and blueprints that people can follow to make real change. Your philosophy is that public health is not about preventing deaths, but it’s about preventing bad deaths. How does this relate to infectious diseases? Remember, we’re all going to die. But, people who die of infectious diseases far too often die bad deaths. It’s infants who die of diarrheal disease in Africa or a 23 year old who is pregnant and dies of influenza in Minnesota. It’s people in the early-to-prime years of their lives. We’re trying to give people good deaths, which come after a long and fulfilled life. That’s all I hope to do. If public health is about foreseeing issues and connecting the dots, why didn’t we predict epidemics like Ebola in 2014 and Zika in 2016? Public health was asleep at the wheel. We need to train a generation of people so that we can be more prepared. We have the same opportunities to do in public health what meteorologists do — to see what’s coming and prepare people. We talked for some time before 2014 about how the epidemiology of Ebola in Africa was going to change with the urbanization of Africa. We shouldn’t have been surprised to see what happened in West Africa. We talked about Zika coming to the Americas more than 18 months before Brazil reported its first cases. How can people be part of the change to eradicate infectious diseases? The best thing people can do is become informed and stay current. The more aware you are of the issues, the more you will want to change them. And I challenge baby boomers to step up. My generation — the baby boomers — has screwed up this planet so much more than any previous generations. We owe it to our kids and grandkids to leave them something better. 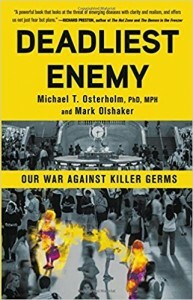 Michael Osterholm led many investigations of infectious disease outbreaks of international importance during his 15 years as state epidemiologist at the Minnesota Department of Health. 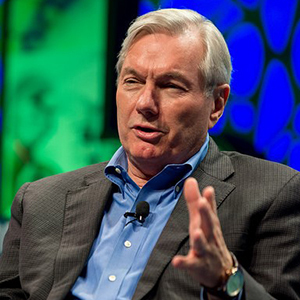 After 9/11, he served as special adviser to former DHHS Secretary Tommy Thompson on issues regarding public health preparedness. He is an elected member of the National Academy of Medicine and the Council on Foreign Relations and is a frequent consultant to the World Health Organization, the National Institutes of Health, and the Food and Drug Administration, the Department of Defense, and the Centers for Disease Control and Prevention. His previous book, “Living Terrors: What America Needs to Know to Survive the Coming Bioterrorist Catastrophe” was a New York Times best seller.